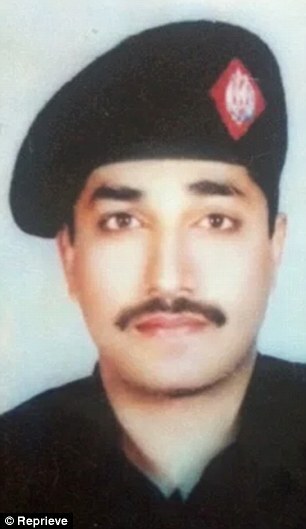 At a hearing in Lahore today, the court granted a stay of execution for Khizar Hayat – a former policeman who has been diagnosed with schizophrenia – until January 30th. Mr Hayat’s lawyers at the Justice Project Pakistan (JPP) had argued that his hanging would be illegal. Mr Hayat’s execution had been set for Tuesday (17th), even though proceedings in his case are still pending before the Lahore High Court. Presiding today, Justice Shahid Hameed Dar reportedly said it would be “unjust” if the Court did not wait for an upcoming Supreme Court judgment in a similar case – that of mentally ill prisoner Imdad Ali – to determine how to proceed with Mr Hayat. Mr Hayat is detained in isolation in a prison hospital ward. In 2015, the courts halted an initial government plan to execute him after seeing jail records documenting his severe mental illness. The documents include comments from doctors that Mr Hayat “is suffering from active symptoms of severe psychosis”. The execution of mentally ill people is prohibited under Pakistani and international law. Pakistan has faced criticism from the UN, and from countries including the UK, over its plans to hang mentally ill prisoners such as Mr Ali and Mr Hayat. Concerns have also been raised over wrongful executions in Pakistan, after two brothers who had already been hanged were found to be innocent by the Supreme Court. As in Mr Hayat’s case, a warrant was issued for their execution by the lower courts, despite the pending proceedings in a higher court. Pakistan’s 8,000-strong death row is the largest in the world, and the government has hanged over 421 prisoners since resuming executions in December 2014.